The Philippines defended its coveted spot in the HSBC Asian 5 Nations (HSBC A5N) Top 5 competition last May 19th after beating United Arab Emirates 24-8. The Philippine National Rugby Union Team, nicknamed the “Volcanoes” scored four tries from Christopher Hitch, Matt Saunders, Gareth Holgate and Graeme Hagan. 2013 marks a new era for the Philippine Volcanoes as they get closer to the World Cup. 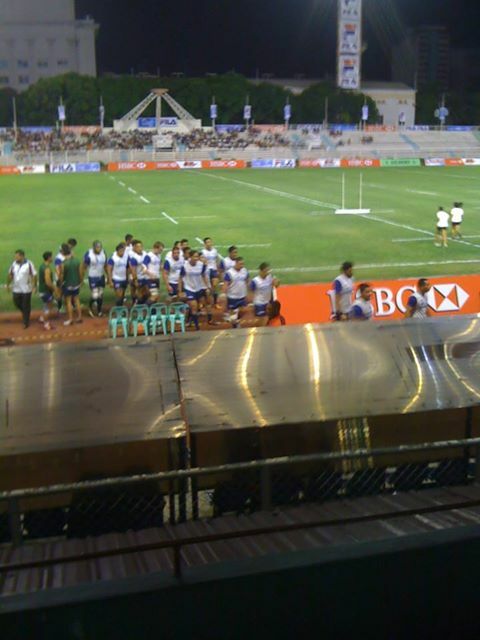 Philippine “Volcanoes” is the country’s official representation to the international rugby union. And with its recent winning, Volcanoes have now become headliner in Philippine sports. 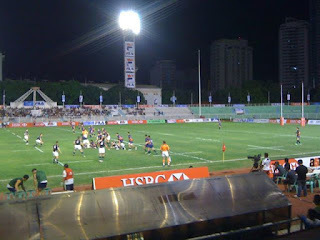 Volcanoes became the most successful team in the Asian Five Nations Tournaments next to Japan. 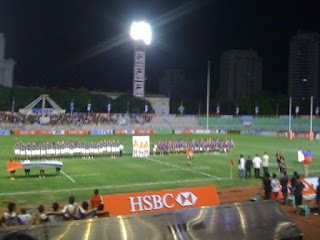 The 2013 Asian Five Nations division tournaments also known as the 2013 HSBC Asian 5 Nations due to the tournament's sponsorship by the HSBC, refer to the divisions played within the tournament. 2013 HSBC Asian 5 Nations is the 6th series of the Asian Five Nations. 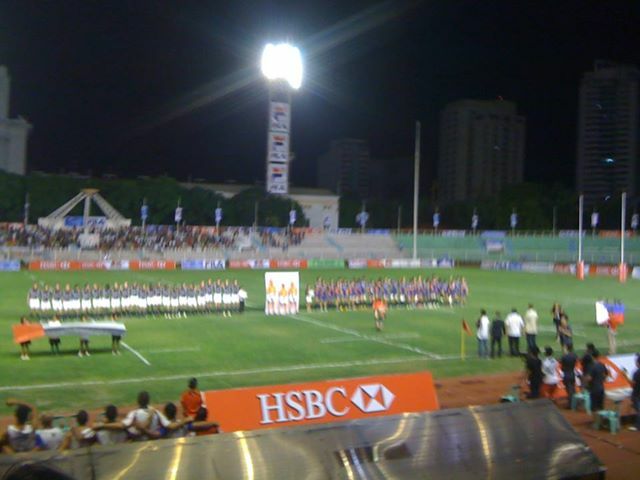 In the past five years, thus Herculean squad has lost only one match, Losing to South Korea in Division One in 2011. In 2012, the Volcanoes stormed into the Top 5 with an unbeaten run, besting Chinese-Taipei, Singapore and Sri-Lanka in a round robin Series. 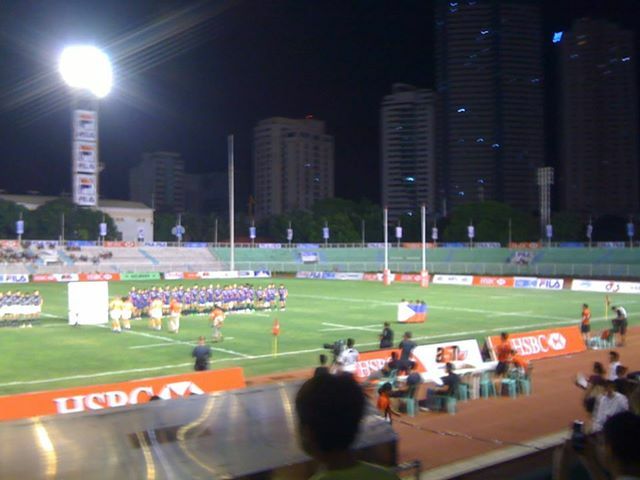 The spectators cheered on loudly as the Philippine team scored ahead of UAE. 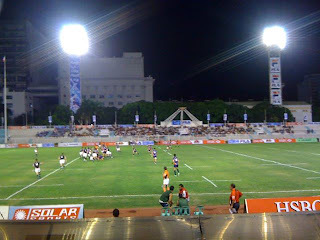 The Rugby game was so intense as every player on each team ran and delivered blow-by-blow strike as they slammed bodies against each other in the pursuit of the ball. Coach Jarred Hodges said, “We know we belong in the top flight of Asia. But we're not happy with fourth. We want to push for that second slot and get that World Cup berth” as he affirmed Volcanoes position in the Asian top five. The 2014 A5N Elite Division champ automatically qualifies for the 2015 World Cup while the second-place team enters a four-team single-elimination “repechage” tournament for the last slot. Btw, I'm giving away a bag, MAC Wonderwoman Cosmetic Belt Bag, Fanny Serrano Cosmetics (Blush, Eyebrow/Eye Pencil and Lipstic) and Nail Decals. Hope you'll join!